An International Conference on Numerical Optimization and Numerical Linear Algebra will be held in Lhasa, Tibet in China from August 8 to 12, 2005. This conference is the 5th of the binnial conference, with previous ones being held in Qingdao(1997), Nanjing(1999), Dunhuang(2001) and Guilin(2003). The Conference will be organized by the State Key Laboratory of Scientific and Engineering Computing, the Institute of Computational Mathematics and Scientific/Engineering Computing, Academy of Mathematics and Systems Sciences, Chinese Academy of Sciences, and Tibet University. The sponsors of the Conference include Chinese Natural Science Foundation, and Chinese Mathematical Society. Invited lectures on recent advances of numerical optimization, numerical linear algebra, and their applications will be given. Prospective participants (except invited speakers) should send their preregistration giving address (postal and e-mail, if available) to the address below by post or e-mail before April 15th, 2005. Those who want to contribute 20 minute talks please send the title and abstract (Latex file preferred) by e-mail to Mr Xia Yong (yxia@lsec.cc.ac.cn). Due to various constraints, the maximum number of participants will be 60(the up limit for overseas participants will be 30). Therefore, if you want to attend, please register as soon as possible. Regsitration Fees: The registration fees for the conference are 200 US dollars (paid before June 15th, 2005) and 250 dollars (paid after June 15th, 2005). Registration fees for students are 100 US dollars (paid before June 15th, 2005) and 125 US dollars (paid after June 15th, 2005). Please send your registration fees in check payable to Mr. XIA YONG to the address given below. Accommondation: The conference will arrange your accommondation, a standard single room with all three meals costs 50 US dollars per day. A standard double room with all three meals (for two persons) costs 75 dollars per day. There are also luxury rooms available at different prices. Please contact the conference secretary for details. Sightseeing: Sightseeing tours will be organized by the conference oraganizers. There will be two one-day city tours. 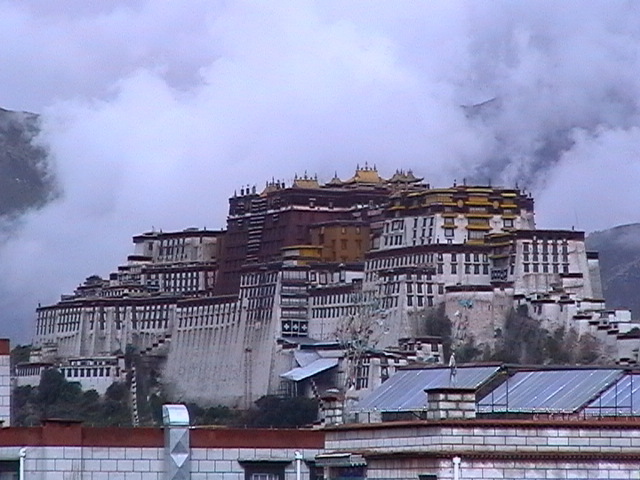 One is to visit the Potala Palace - the palace at the highest sea level, and the Sera monastery. The other tour is to visit Norbulingka - the summer palace of Dalai lama, and the Jokhang Temple Monastery. Each tour costs $20 per person. Visa: If you are not a Chinese passport holder, you will need a special visa to go to Tibet. (Please keep in mind that an ordinary Chinese visa does not authorize you to enter Tibet). Please contact Mr Yong Xia to get an official invitation letter for you to apply your special Chinese visa.